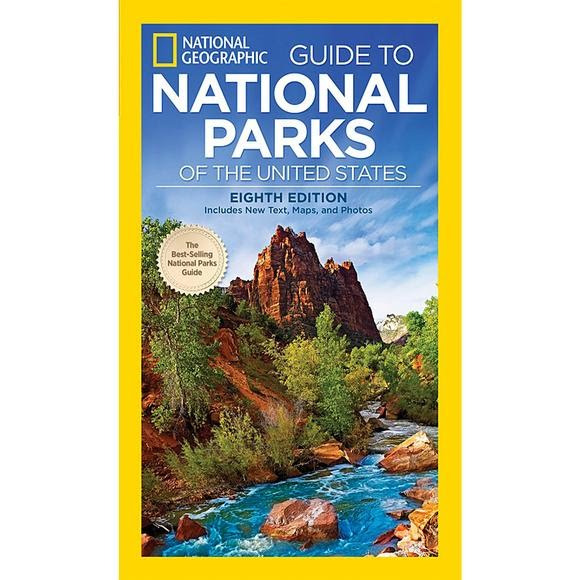 In time for the National Park's 100th birthday, this flagship, best-selling guide is fully revamped and updated with all new text, photographs, and design. National Geographic writers hit all 59 national parks - including Pinnacles, the newest in the crown - for intensive on-the-ground research. 300 photos and 80 colorful maps complete the extraordinary package. In time for the National Park&apos;s 100th birthday, this flagship, best-selling guide is fully revamped and updated with all new text, photographs, and design. National Geographic writers hit all 59 national parks - including Pinnacles, the newest in the crown - for intensive on-the-ground research. 300 photos and 80 colorful maps complete the extraordinary package. Practical and comprehensive coverage includes engaging, individual park descriptions and brief history, travel planning tips, itineraries and directions, activities, park lodges and hotels, visitor center contact information, and camping information. Well-known national parks writers provide new insights into the parks and share favorite spots for viewing scenery, wildlife, sunsets, and more in this Centennial edition.